Just thinking about taking a relaxing bath or a deep sleep encompasses the concept of living simply luxuriously. And today, we’re going to focus on cultivating a night’s sleep that is restorative no matter what the temperature may be outside. Yep, linen sheets are not only for bringing the cool desired to your body during the warm summer nights, but bringing warmth in the winter as well. In other words, year-round fabric that will allow your body to breathe, yet remain at the ideal temperature. Check out this detailed post about where linen comes from, how to best take care of it, as well as a few more tips for living with linen bedding and where to find it. But today, I have a giveaway for you that I am extremely excited to share. Soak & Sleep is the UK’s top bed and bathroom company that is family run and only operates online to save you, the consumer money. As well, their business model is direct from supplier to retailer, and as they specialize in offering quality products, it is their breathable French Linen flax from the French-Belgium border that prompted me to reach out to them and see if they wanted to be a part of TSLL’s French Week. One entrant will win a full French linen set (this includes the duvet and two pillowcases) in a double size. The color is your choice, and for all other entrants, your opportunity to sleep on linen is greatly increased as if you stop by on Sunday August 19th, there will be an exclusive, limited-time only discount code offered to TSLL readers. Let’s talk about sleeping on linen sheets. I shared during my trip throughout France this summer that I slept on linen sheets a couple of times (here is one instance) and since have begun to sleep on linen sheets at home (have a look here), and the moment you slip into a bed made with quality linen, your skin takes a deep breath of pleasure. During the warm months, feeling linen on your skin is akin to a much desired cool (not cold) bath or shower – refreshing, blissful and deeply desired. As your skin is able to breathe (even more so than with cotton), your body’s temperature begins to drop making it easier for your mind and body to fall asleep. In other words, linen is an avenue to sweet sleep. How to enter to win the Soak & Sleep giveaway? Leave a comment with your email address as a way for us to contact you if you are the winner. Available to all entrants – no matter where you live on our lovely globe. this code will be emailed to you after the giveaway has concluded (look for it to arrive the week of August 20-27). Start perusing your colors here for your French Linen set. (Did you see this striped linen sheet set – not available as a giveaway item, but could be yours with the promo code)? How luxurious! I love natural fabrics! Thank you for this generous offer. Merci beaucoup! Bonjour! Bon chance pour moi! I’d never heard of them before, they sound amazing! katjashal@icloud.com so beautiful and cozy! The linen sheets look so beautiful and comfortable! Can’t wait for yhe drawing! I’ve been dreaming of linen sheets for years! So relaxing and elegant. This would be perfect for our long, humid nights in SC. Looking forward to another TSLL French week! I never really knew anything about linen bedding. I am looking forward to your post about the care of them. I would be thrilled to receive this wonderful give-away! I would LOVE this set!! There is nothing like the old-fashioned fresh feel of linen sheets!! I have been wanting to try linen to sleep on! A much needed addition to my bed! Would be dreamy to sleep on beautiful linen sheets. Thank you for a fantastic giveaway. These sound exquisite, thank you Shannon(and Soak & Sleep)! i have been wanting to invest in some good linen sheets and would love to try this brand. Thank you Shannon for the recommendation and discount. Vickie.mccullough@iconschol.org. Looking forward to the week! Would love to try these sheets!! sjnewton@verizon.net. I have never slept on linen sheets It would be a first if I won. Sweet dreams with Soak & Sleep luxurious French linen bedding! Merci Shannon for French Week. Taking care of all aspects of life, sleep included, is essential. Thanks for this wonderful giveaway. These look so cozy!! I love your French week! Freshly washed sheets on a big bed are my favourite thing!! If only laundry wasn’t such a hassle. I’ve been on the search for a matching vintage French set for years. Would love to win a new one here! This is for me!! Love it! I have been looking for a linen set. Thank you for the chance to win! This is such a wonderful giveaway. Thank you. Thank you for introducing me to a wonderful new UK company ! I love sleeping on linen…thanks for introducing me to a new company that sounds wonderful! Kimberlymwilliams73@yahoo.com it’s time to try linen bedding!! Thank you for sharing this brand with us! It sounds dreamy to sleep on linen. Grateful, indeed, for the discount! Sounds lovely. Thank you for telling us about them. And for arranging this giveaway. Thank you for this opportunity to enter. I appreciate you and your posts, especially the links to the products you recommend. I would bet my home and library is similar to yours… lol. Going to purchase regardless of whether or not I win this lovely promo! This is an amazing giveaway to end the summer. Your French posts, episodes, etc inspire me so much! Thank you for being you! Hope it’s me this time! Replacing old, worn sheets with new French linen ones is such an easy, simple update to make the bed super welcoming – thanks for sharing the idea, Shannon! Let’s see who will be lucky enough to change bed sheets, lol 🙂 If it’s me, my email is “one panda k at aol dot com (no spaces)”. Looking forward to TSLL French Week too! What a wonderful giveaway!! I’m sure that once a person has sheets like these you never will want to go back! I might be hooked if I win these! That would certainly improve my sleep 😴 situation. Steaming here in LA with an AC that can’t keep up with the heat in my tiny studio. I would love to skip into these beautiful linen sheets each night! What a luxury…and a comfort! Oh my, what a wonderful giveaway! Lovely Linen! Count me in! Dreaming of linen. . . .
Linen is my favorite fabric, love it in any way I can use it, clothes, table linens p, & sleep. I would love to win but will not post my email publiquely. Winning these woul truly be a truly luxurious upgrade for my guest room ! I adore linen! Thank you for the opportunity to win these lovely sheets. I’ve so enjoyed following along with you on your trip to France. I’ve learned much from your posts on Linens and would love to own a set of linen sheets. What a treat this would be for my new home. Linen sheets will be perfect for the islands. I live on St. Croix, USVI. I have been dreaming of having linen sheets! What an amazingly generous prize !!! Ooooh, best giveaway ever!! Thank you! Have been wanting to try linen sheets for some time, now. Sound perfect for a southern climate. I’ve been looking at antique/vintage linen sheets just this week. After hearing of these and visiting the webpage the prices are pretty good even with the pound/dollar conversion. So if I am not lucky enough to win I will purchase! I just fell in love with the blue stripe linen sheets on their site! Gorgeous! These would be a fantastic pleasure at the end of a long work day! Please enter me into the giveaway Shannon! I have difficulty sleeping, so am really excited to hear about linen sheet helping, in that area. I would love to win, and give them a try. Thanks for the info you share. Today’s my birthday…maybe that will make me lucky?!? Thank you, Shannon, for the linen post. I learned so much and feel much more confident about choosing linen now. While in Switzerland, I feel deeply in love with duvets and down. It’s like sleeping on a cloud! What a fabulous giveaway! Thank you, Shannon! And may I say how much I am enjoying the start of French week with my subscription to TSLL? It makes the blog experience even more enjoyable. Have no idea why I waited so long. Merci! I so hope to win this give away!!! Linen is my favorite fabric. Fingers crossed. I have truly enjoyed following your amazing journey…VIVA LA FRANCE! What a lovely prize! Fingers crossed! Winnin’ with linen, I hope! Thanks Shannon! I would love these. Thank you! I have a set of linen sheets that I just love! Wow! These look so luxurious! I LOVE linen sheets. Clean sheet day is so much better with them! What a terrific tutorial on Linen, Shanon & Sharon! I would be honoured to be entered in the contest to win a set and to get 20% off! I left my email address for you. Merci! Reminds me of the linens in the house we rented just outside of Ménerbes two years ago. I loved reading and hearing about your recent trip in that area. The memories of that house and sitting on the patio every evening drinking wine with our view of the village of Ménerbes are priceless. That’s what life is all about…making memories with family and friends (doing it in France while drinking a good French rosé makes it even better!). Enjoy your philosophy on living simply yet luxuriously, particularly your podcasts! I’d be beyond Thrilled to be chosen !! Thank you for this chance !! These would be wonderful to win! Thank you for the opportunity. Thank you for introducing Soak & Sleep. I am addicted to sleeping in linen and am delighted to have a new source. Please enter me in the competition. Cheers. I would love this linen bedding. Denmark is having the warmest summer ever this year, so I would love to try to sleep on linen sheets! I love wearing linen,therefore I’m sure I would love sleeping on it. Would love to try. Like everyone else, life can be crazy busy. Surrounding yourself with luxurious things and living a luxurious life helps you to slow down and see what truly is important. Getting a good night sleep is key! So sleeping on French linens sounds so decadent and calming. Bonjour from Ontario, Canada!! To would love to try some French linen sheets! What a perfect give away. I am planning to upgrade my sheets in the guest room and these would fill that need perfectly. Such a lovely gift. Please enter my name. Thank you for the pleasure of your blog. This is my first French Week and I’m so excited! I love being introduced to truly beautiful things. Linen sheets sound amazing!! Oh, I have always wanted a set of linen bed linens! I’ve loved following along with you for years. Thanks for sharing your thoughts with us all! In the mean time, I’ll bookmark their page and do some online window shopping. Curl up in bed with this duvet set, a cup of tea and a good book…now that’s a french luxurious life! I absolutely love linen and to have linen sheets would be amazing! Thanks for having such a luxurious giveaway. August 19th is a milestone birthday and these beautiful linens would be a wonderful gift. As someone who constantly wakes up during the night due to being too hot, linen bedding sounds incredible! I think the idea of linen sheets is wonderful. I have never had them so am excited to enter and possibly win a set of linen sheets from France. Wow what an amazing giveaway. Thank you. Such a lovely giveaway. My husband and I have slept in a full size bed for 40 years, but never on linen sheets! I absolutely adore French linen and would love to have good quality French linen sheets. Thank you! Simply Luxurious Lovely Linen ! I have always wanted to have a set of linen sheets for our bed, but have never had it in the budget! Please enter me in your linen giveaway. I have been wearing linen dresses all summer long and I LOVE them. Lovely, I’ve always wondered how it is to sleep in line sheets. While sleep is essential, so often I do not think about what goes into a good night’s rest. These sheets sounds like they be a wonderful way to help promote a very restful sleep. Thanks for the opportunity to win a set! My husband and I have been working on upgrading our bedroom this summer. A set of French linen bedding would be the cherry on top! This is such a beautiful set and is made for sweet dreams. Oh my! I love French linen, and this is an amazing giveaway. Excited about your 3rd annual French week! French linen sheets sound so inviting!! How simply luxurious – and French! Thank you for the opportunity!! I’m thrilled French Week is finally here! These linen sheets look divine. Wow! What a simply luxurious giveaway!! Wishing for luxurious sleep under linen sheets! This is lovely! Thank you for running the giveaway. A perfect simply luxurious gift, Absolutely Dreamy! An annual treat- TSLL’s French Week! The linen set sounds delightful, Shannon. Merci!! Linen bed set! What a fabulous treat. Thanks for the opportunity. What a luxury. Never experienced anything quite like linen sheets before. I would be thrilled to win. I’ve never experienced linen bedding. It sounds wonderful for a cool summer sleep! I tend to get hot when sleeping, so these sound amazing! 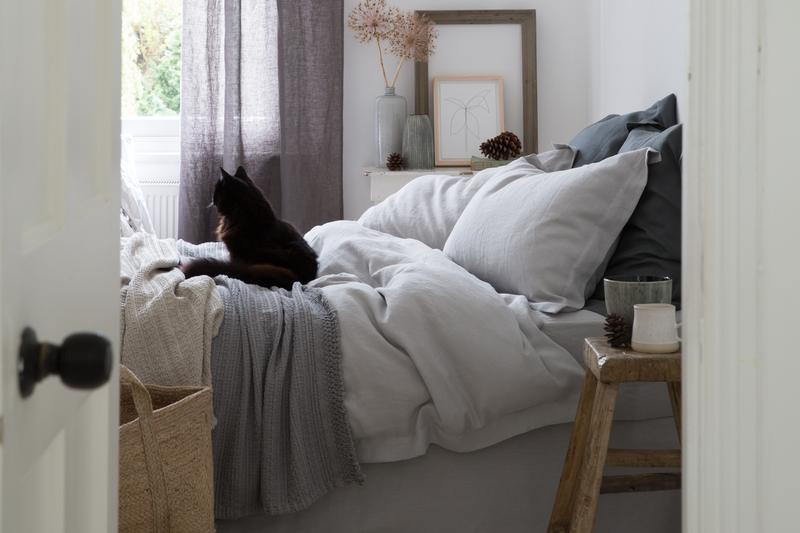 Cool in summer and warm in winter, linen sheets sound amazing! 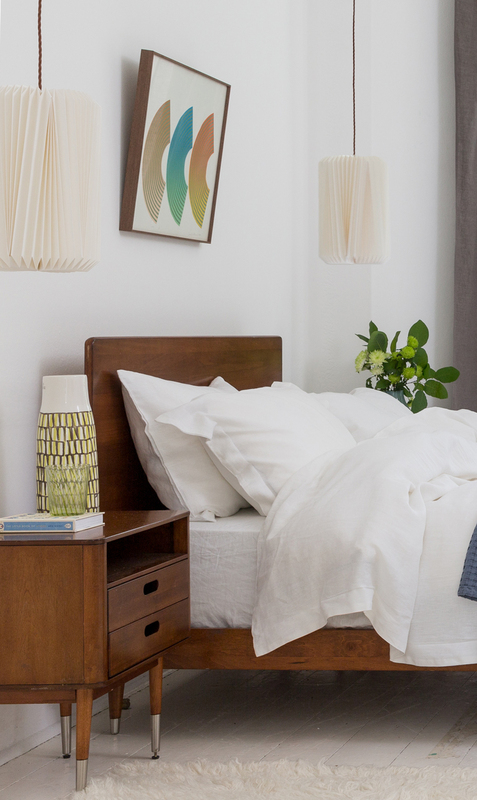 I’ve never tried linen bedding, but it sounds wonderfully cool and comfortable for the summer. How beautiful. With my kids getting ready to go back to school I’m getting ready to start redecorating. Good luck to all! Loving French week and linen sheets! Linen sheets…divine! Please enter me into the give-away contest. Merci! How lovely! Would love to win. I work with linen as I fabricate custom draperies, but never thought to use it for bedding! Another great find from Shannon! Having lived in Aix en Provence for over a year now….linen sheets are a luxury I’ve hoped to know. This is a great introduction to this company, and it’s much appreciated. Bonne chance a tous! Sooo luxurious! I’ve always aspired to linen sheets. Luckily my bed is a double. I dream of sleeping in luxury. They look crisp and comfortable at the same time! Perfect for a beach house. I would love to win. they are so amazing. Linen sheets look amazing ! I’d love to win this give away, sounds amazing! Would love linen sheets, thank you Shannon. Linen sheets sound wonderful and better sleep is a bonus! Seeing all the comments shows how much we all desire a rest- full retreat in our own homes. The natural fibers of Belgian flax are on my bucket list of experiences! Thank you for the offer, & inspiration! Luxurious linen – sounds wonderful. Maybe my insomniac husband might even get a good night’s sleep! Merci beaucoup, Shannon! This simply luxurious linen bed set would be a petit plasir to look forward to each night. A deep sleep with French linen sounds like a dream! Loving French Week Shannon, thank you! I can only dream of sleeping on something so soft and wonderful!! Oh my goodness, what a lovely gift! This would be heaven! Thank you! ten years now and they are such a luxury! Beautiful and dreamy. Wishing you a lovely weekend, and thank you for these lovely giveaways! Linen is one of my favorite fabrics. I love the idea of sleeping on it! Please enter me in the giveaway. Praying to the universe of linens and already looking forward of sleeping on this luxury item. Linen!!!! A dream!!! Praying to win! Thanks for an amazing French week Shannon! Ohhhhhhhhhhh, have always desired linen bedding but never bought it. Would love to win this! 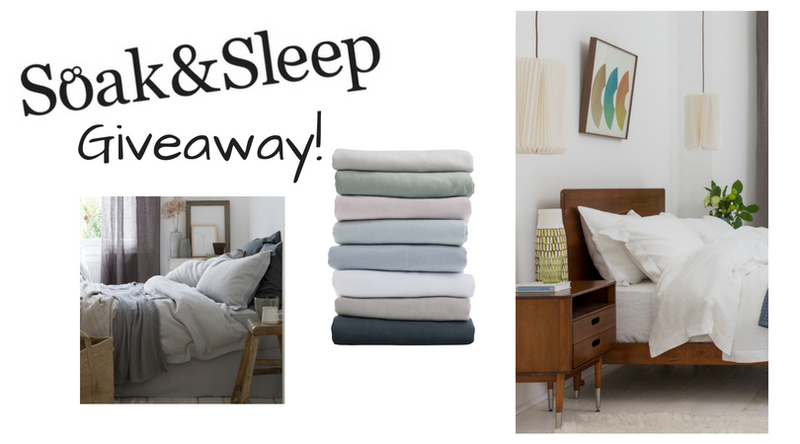 I love the feel of linen and having the chance to win a set of linen bed linens is awesome!! Thanks so much for the chance.